What do you get when you combine groundbreaking technology and some of the world's most creative people? If you're a fan of theme parks, immense anticipation for what's to come in 2015. America's theme park capital, Orlando, was host to this week's International Association of Amusement Parks and Attractions (IAAPA) Expo, the industry's most celebrated trade show comprising roughly 27,000 attendees and 1,000 exhibitors. 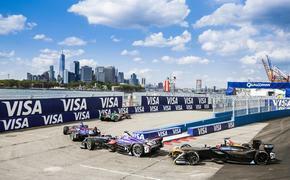 Although the event showcases new technologies and coming attractions to various theme parks across the globe, there were plenty of highlights for American enthusiasts. Here are the five most thrilling announcements from this year's IAAPA trade show. 1. Fall Head Over Heels for "Batman: The Ride"
Few things sound more futuristic than a "4D free-fly coaster train." And in the summer of 2015 at Six Flags Fiesta Texas, park guests will experience the revolutionary machine for the first time thanks to S&S Sansei Technologies. Riders on "'Batman: The Ride' will face a 120-foot elevator-type lift before plunging downward," according to the Associated Press. But that's not all. Park marketing director Jeffrey Siebert says riders will "tumble head over heels six times" on their way down. 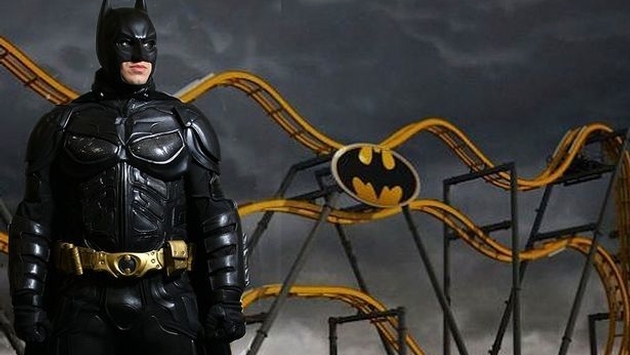 The theme park's website claims that "you won’t need a Batsuit to ride – just Batman-level bravery." Designed and developed by inventor and mom Denise Chapman-Weston, Slide Boarding will soon have both kids and adults trading in their controller for a trip to a Wet'n'Wild park. The unique idea combines two things kids love, video games with waterslides. But the concept will also feature plenty of "lights" and "music" to appeal to guests of all ages. For Justice League fans, or anyone who enjoys taking out bad guys with lasers, Oceaneering, the company behind Transformers at Universal Studios, has unveiled a ride you'll want to strap into next year. "Justice League: Battle For Metropolis" will debut at Six Flags St. Louis and Six Flags Over Texas in 2015. Featuring "lifelike animatronics," a "custom musical score" and even "special laser blasters," according to AP, the ride promises to provide a unique interactive experience. Tom Iven, senior vice president of U.S. park operations for Six Flags told CNN Money that "an enormous amount of detail and creativity has gone into producing what will be one of the most exciting and immersive dark rides experiences in the industry." Six Flags' official website notes that the ride is scheduled to open to the public at both parks in the spring. Until then, fans would be wise to develop their laser blasting skills. If you're planning a trip to Knott's Berry Farm in Buena Park, California, during or after the summer of 2015, you're in luck. Also, prepare to have your mind blown. That's because Montreal-based company Triotech has revealed an exciting new ride that's "like riding a roller coaster and watching a movie and playing a game all at the same time," creative director Eric Marradi told Hugo Martin of the Los Angeles Times. The ride, known as Voyage to the Iron Reef, signals the theme park's first 3D project and is sure to stimulate visitors' senses. Although most visit amusement parks for the rides and entertainment, you can't overlook the importance of good food when it comes to maximizing your overall experience. For those who love the classics but aren't afraid of trying something new, the Honolulu Hot Dog is worth keeping an eye out for. The new snack trend looks similar to a hot dog you'd receive at any park across America. However, with a bun that's "toasted internally" and seven different sauces to choose from, according to AP, the Honolulu Hot Dog is sure to have your taste buds dancing. It's safe to assume that the emerging treat tastes better than it looks.